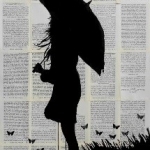 Rebekah Brackett is an artist, illustrator and painter. 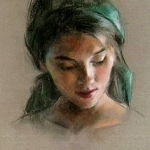 She currently resides in Abbotsford, British Columbia and has completed her Bachelor of Fine Arts. Influences are: Art Spiegelman, Jeff Smith and Radiohead. The Blue Blanket Period at Mission Arts Centre, Mission, B.C. A solo exhibition show casing works of art that Rebekah has completed in the last 2 years. 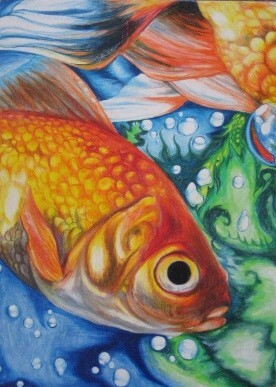 The course starts with pencil and paper then progressing to various media, including watercolour and acrylics. 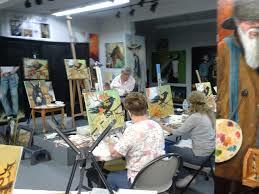 This course is open to participants of all levels & of artistic ability. If students would like to email Rebekah two days before class to print off an image, please email her at: dallow.spicer@gmail.com or please contact her at: 604-308-1765. 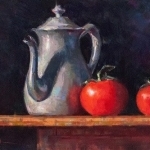 In each class, Rebekah will demonstrate techniques and go over various ways to use the medium between 12:30 – 1:00. Between 1:00 – 2:00, students will work on their own projects with Rebekah helping one on one. This is Part 1 of 2 of Pen and Ink / Watercolour. 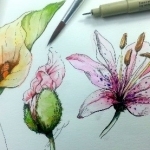 In this class, Rebekah will discuss the benefits of Micron pens and watercolour pencils. Students will be previously advised to bring in images that they would like to work from. This class will be focused mostly on the Micron pen drawings. Students are encouraged to take their projects home to work on details of their pen images. 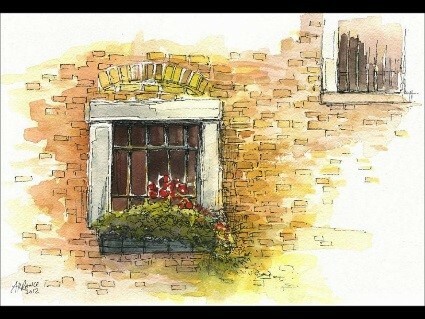 This is Part 2 of 2 of Pen and Ink / Watercolour. 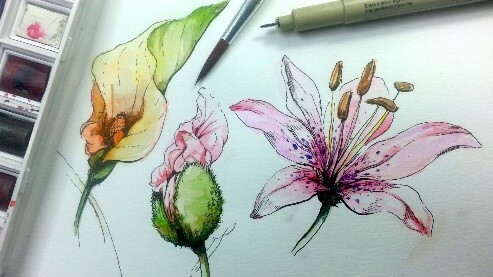 In this class, Rebekah will demonstrate how to utilize watercolour pencils on top of a Micron pen image. Each student will continue their project until finishing. This is Part 1 of 2 of Printmaking. 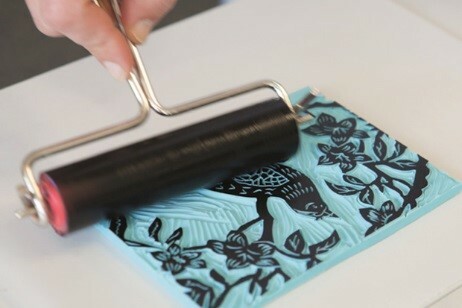 In this class, we will be making a 5” x 7” card / piece of artwork on cardstock paper using a linocut printmaking technique. For the first half of this class, Rebekah will discuss printmaking techniques and how to actually begin and prep for this project. The second portion will be to begin the project with includes: design. 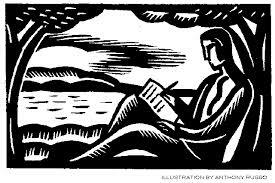 Each individual for the class will be provided with paper and pencils to draw out their images that they will want to carve into the 5” x 7” linoleum pieces. With reminders that the image they design will be actually be viewed in reverse once the printing is completed. 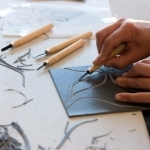 Individuals who are completed their designs will begin carving into their linoleum pieces. *Before beginning the project, safety instructions will be provided and explained how to use the tools in a safe way to avoid any accidents or mishaps. This is Part 2 of 2 of Printmaking. 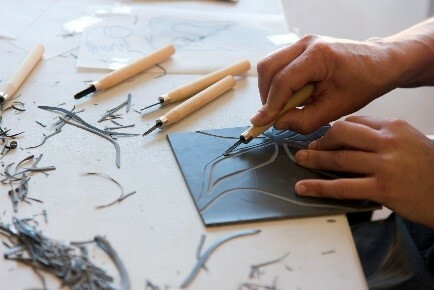 In this class, each individual will being or continue carving into their linoleum pieces. 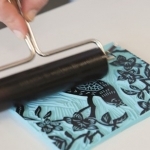 Once the carving is completed, Rebekah will show how to roll ink onto Plexiglas and onto their linoleum, and place the inked linoleum onto the paper. This will continue until the end of class and each individual has completed their projects. 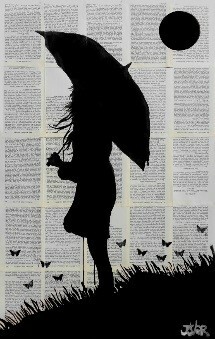 This class will be working with watered down acrylic paints and utilizing old book pages as the background medium. We will be discussing silhouettes, utilizing the rule of thirds as well as techniques and design. 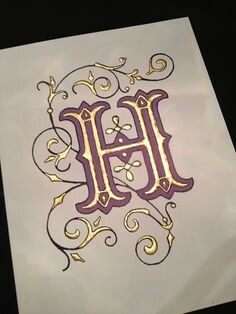 In this class, we will be working primarily with letter calligraphy using cardstock paper, pen and ink and metallic pens. Rebekah will be going over various styles of calligraphy and each student will be given sheets of paper for practice. 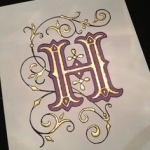 Each student will also work on a final project using a 5” x 7” paper using pens and metallic pens for details. 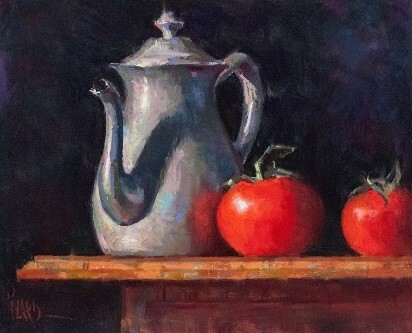 In this class, we will be working primarily with still life (fruit, furniture and draped cloth). 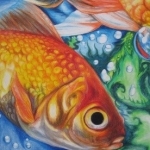 Each student will be given techniques on how to look at an object and use proper methods to draw the object in a sketchbook or paper using oil pastels. Students are encouraged to bring their projects home to work on. 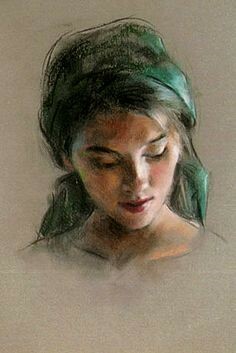 In this class, we will be working on pastel drawings using portraits. Each student is encouraged to bring in a picture of a face they would like to draw using pastels. 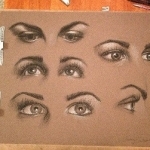 Rebekah will be going over how to properly place pastel (using the layering system) in order to bring out skin tones and shadows using toned paper. If students require pictures to be printed off, it is recommended to email Rebekah at dallow.spicer@gmail.com two days before class begins. In this class, we will be discussing charcoal drawings. 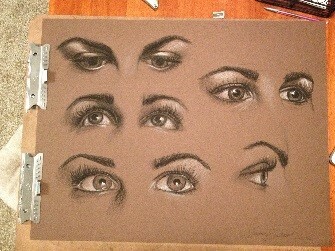 Those who have taken this class before, will be using toned paper and coloured charcoal. Those who have not taken this class will be using black and white charcoal on white paper and will use black and white images. Images will be provided by Rebekah. This last class will be working with pencil crayons, it is recommended if students bring their own pencil crayons to class, do not use Crayola brand. 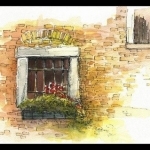 Rebekah will provide pencil crayons and paper and demonstrate how to use the layering technique to blend colours to create bright and vibrant works of art. Rebekah will also bring images that students may use as a reference or they are welcome to bring in their own.